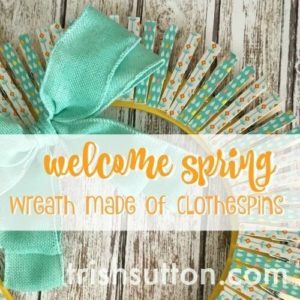 DIY Spring Decor just in time for Easter! 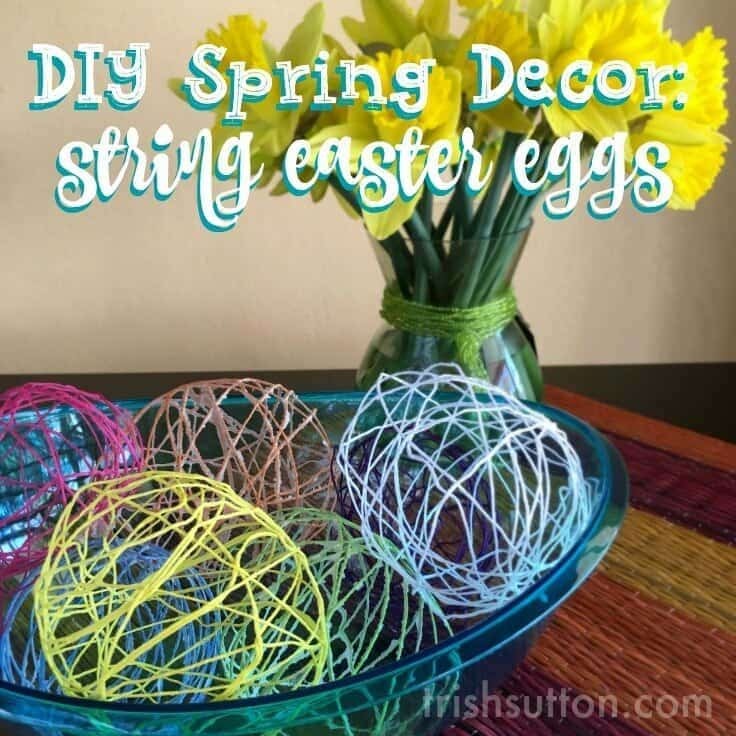 String Easter Eggs that can be used as a centerpiece or garland. Hey there Kenarry readers! It’s Trish from By Trish Sutton. 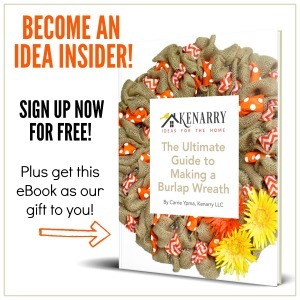 I’m excited to be back over here at Ideas for the Home by Kenarry™ to share a versatile spring project. 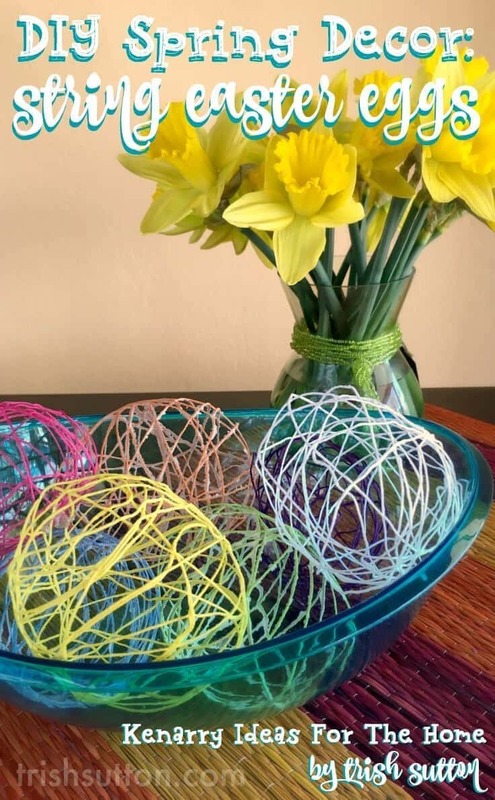 These colorful String Easter Eggs can be used as a table centerpiece, placed on bookshelves individually or they can be strung as festive garland to welcome spring and Easter visitors into your home. 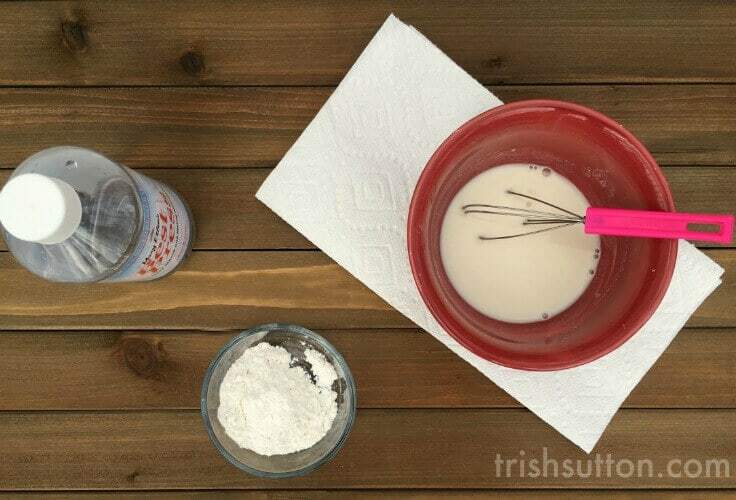 To begin, add the liquid starch and flour to a bowl and whisk until the mixture is lump free. Select the color of string and place it in the bowl. It is best to gently layer the string to avoid any tangles or knots. 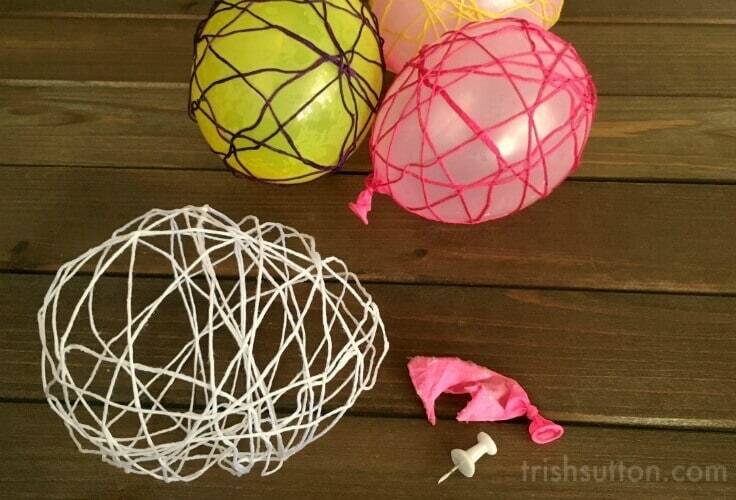 Next, blow up (or pump up) balloons to your desired size then wrap the wet string around each balloon, beginning near the opening of the balloon. 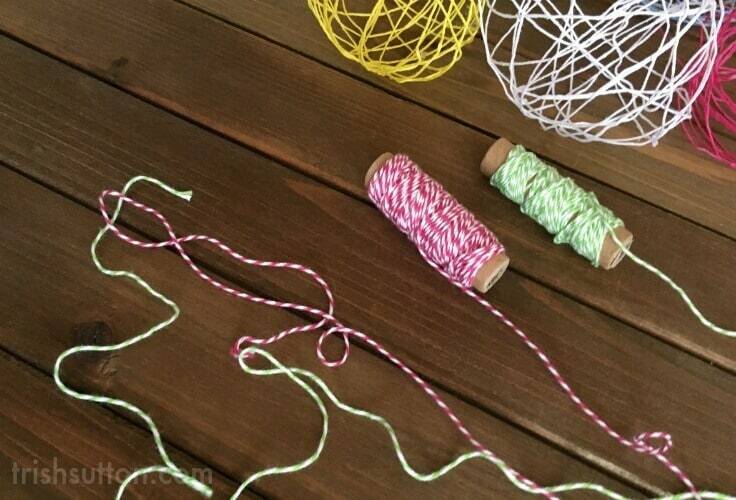 Continue to wrap the string around the balloon until the desired look of your String Easter Egg is achieved. I used about half a skein of embroidery floss for each egg. 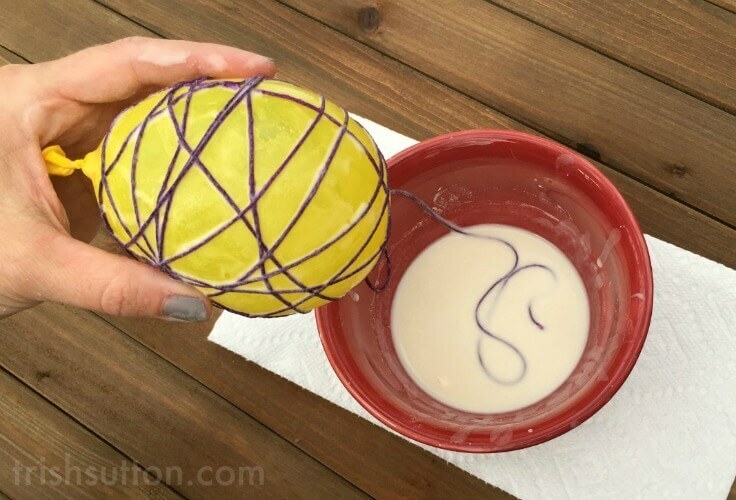 If desired, wrap a second color of string around your balloon egg. 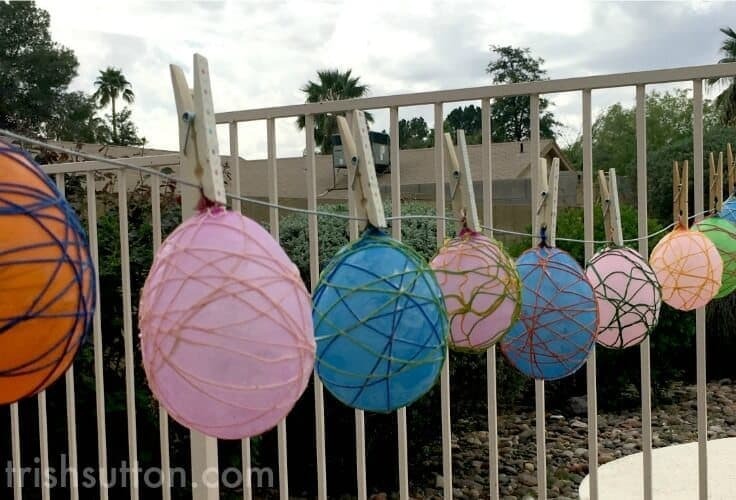 After you finish wrapping string around your balloon eggs, hang them to dry. It is best to hang them outside or over a drop cloth as they may drip. I hung my String Easter Eggs in our backyard on a makeshift laundry line using clothespins. 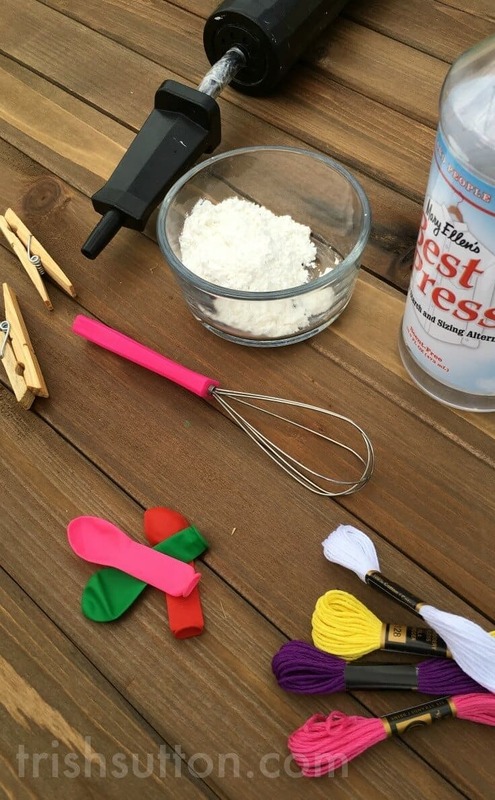 Allow string on balloons to dry completely before removing them. Use a push pin or safety pin to pop the balloon inside each String Easter Egg. 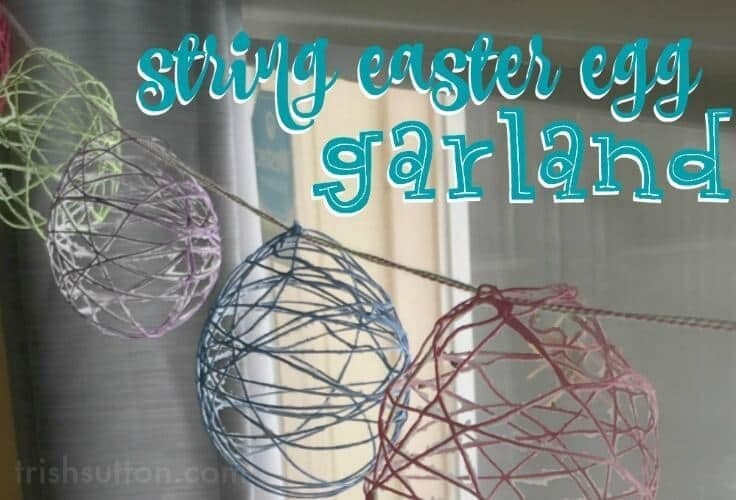 If you are creating String Easter Eggs to be used as garland, measure out the length of string or ribbon you will need then thread the string or ribbon through each egg. Hang your DIY Spring Decor garland above doorways, across windows or along walls. 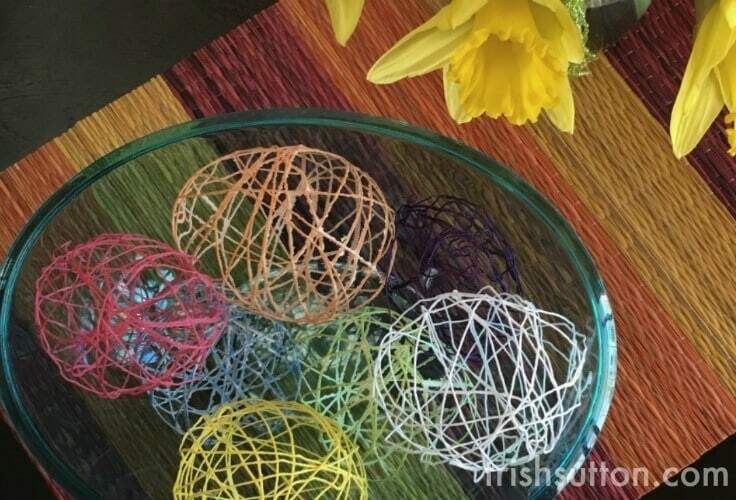 Or place your String Easter Eggs in a basket or bowl on the table to create a colorful centerpiece. 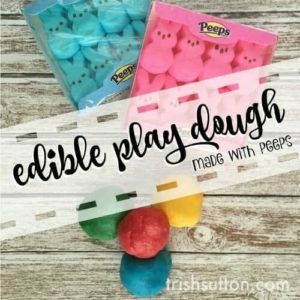 If you have a chance after you make your String Easter Eggs stop by my blog site for tutorials on creating a Spring Wreath Made Of Clothespins and Edible Peeps Play Dough! And to receive more of my favorites in your inbox along with exclusive printables, sign up for my weekly newsletter Weekly Simplicity. 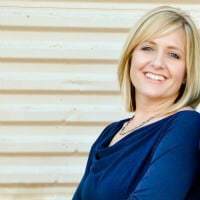 I look forward to stopping by again next month but in the meantime you can find me on Facebook, Instagram and Twitter. Previous Post: « The Old Dresser from Nowhere Gets a Face Lift!